Karl Barth was a Swiss theologian. Born on May 10, 1886, his ideas on God and Christianity have earned him the honor of being regarded as the greatest Protestant theologian belonging to the twentieth century. Starting off as a pastor, he rejected both the extremities of liberal theology specific to the 19th century Protestant Church and the more orthodox teachings of Christianity. Instead, he opted for creating a new path, which was called the dialectical theology in its initial stages due to the paradoxical relationship between God and His men; His love and wrath, reward and punishment on men. 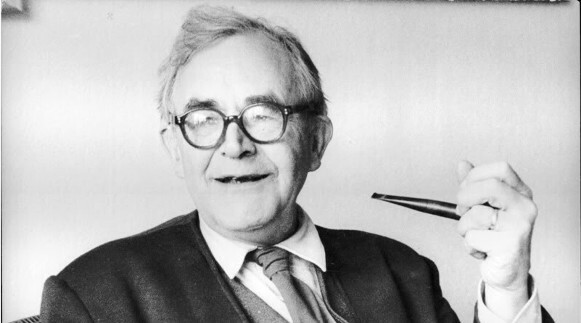 Barth was also called the father of neo orthodoxy, but he rejected the title. His work has influenced many a significant people, such as Jacques Ellul and Thomas Torrance, the leaders in the Confessing Church. Barth’s teaching emphasized mainly on the oneness and omnipotence of God. His reinterpretation of doctrine of election, his concept of sinfulness of mankind and the qualitative differences between man and God all led to focus of God’s sovereignty. In his first major work, Epistle to the Romans published in 1919, Barth gained a position as a noteworthy theologian with his sole focus on the sheer grace of God and his power. He had a light, humorous writing style, full of brilliant similes and unique phrases. The most important contribution of Barth to Christianity, his magnum opus, is undoubtedly the thirteen-volume Church Dogmatic. The publication is regarded as the most crucial works on theology of the century. The book addresses four key doctrines: God, His creation, Revelation and Reconciliation. He was of strong belief that human intellect and intuition alone cannot discover God in its entirety. For that purpose, God has provided mankind with His revelation, the Bible, which is important when one wants to reach Him. He also worked to bring back in Christianity the doctrine of Trinity, which was somewhat lost when Liberalism took over the Church. Barth’s take on sin, salvation and punishment was contrary to the previous Calvinist thinking, which led Christians to believe that all sinners and rejecters of God will be eternally damned and punished by Him. Barth regarded salvation in pure Christological terms, believing that through Jesus Christ, all men have been justified and reconciled. He firmly asserted that all Christians should have faith in His eternal grace and that eternal salvation is a possibility not only for Christians but also for those who outright reject God. Barth played an active role in writing the Barmen Declaration, a document rejecting the Nazi’s influence on the German Church. He wrote that church should be in allegiance to God alone, and worldly gods such as Fuhrer should not intervene in the matter of religion. The Barmen declaration was one of the founding texts forming the basis of the Confessing Church, of which Barth was later elected a leader. He also refused to take an oath under Hitler. This cost him his professorship at the University of Bonn. In 1962, Barth’s authority as an influential religious leader was further recognized after being featured on the cover of April’s Time magazine. Karl Barth breathed his last on December 10, 1968. He had a major impact on the mainstream American culture of religion and Christian ethics and morality.